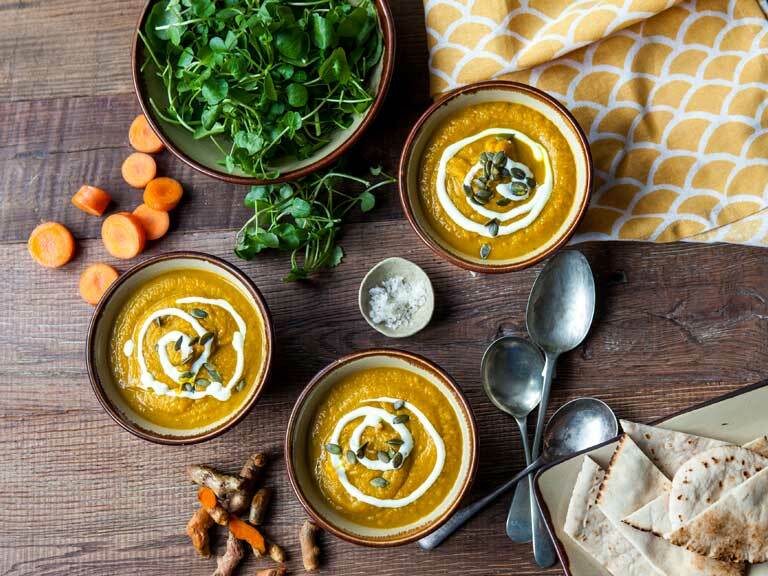 A warming winter spiced carrot soup with peppery watercress, fresh ginger and turmeric. 1. Take a large saucepan and place it over a medium-high heat. Add in the oil then throw in the diced onions and chopped carrots along with a good pinch of salt. Fry for 8-10 minutes, or until the onions are slightly coloured and soft and the carrots have begun to cook on the outside. Add in the garlic, ginger and turmeric and fry for a further 1-2 minutes. 2. Pour in the hot stock and bring to a simmer, stirring occasionally. Once the liquid is boiling turn down the heat to low (ensuring that the soup continues to simmer) and place a lid on top. Leave to cook for around 20 minutes, or until the carrots are soft and cooked through. 3. Once the vegetables are cooked through, add in the watercress and cook for 30 seconds. Remove the soup from the heat and use a ladle or small jug to tip it into the bowl of a food processor or blender. Blend thoroughly. You may need to do this in batches depending on the size of your blender. Be careful not to over fill! 4. Once the soup is blended thoroughly tip it back into the sauce pan. Taste and add more salt and some black pepper to taste. Finally serve into bowls and finish with the pumpkin seeds and yoghurt along with some toasted pitta breads. 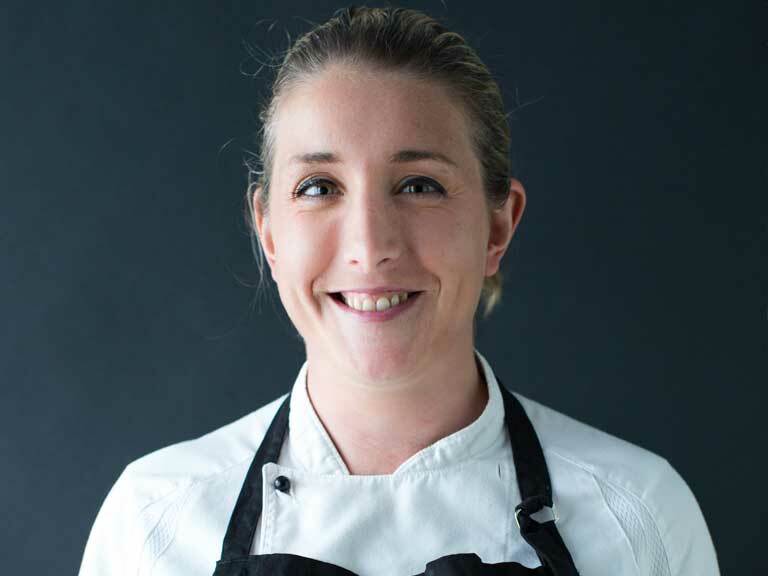 Keri Astill-Frew has worked in top UK restaurants, including a Michelin-starred hotel.